The idea of completely changing one’s eating habits to a whole foods, plant-based diet is overwhelming for most people despite the many proven health benefits that may result. Adding to the challenge may be unsupportive household family members who scoff at the idea of eggplant as a main dish for dinner or refuse to even try tofu. 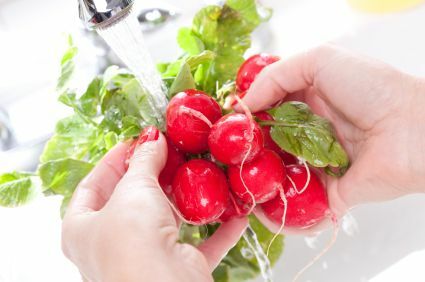 In an effort to help, we’ve created a list of nine small, easy, alkaline substitutes anyone can make to improve their alkalinity (some of which you can swap without the family even noticing!). Even if you never make it to the ideal 80% alkaline/20% acidic ratio, these slight changes will be beneficial to your health and won’t feel like much of a sacrifice (if at all). Corn oil, canola oil, safflower oil, and vegetable oil are refined oils that are not healthy and should be avoided and replaced with cold-pressed oils like extra virgin olive oil, grapeseed oil, flaxseed oil, coconut oil and hemp oils. Healthy fats are an important part of an alkaline diet and can be obtained through substituting healthy oils for the more mainstream unhealthy oils. All oils can create free radicals when heated, so we recommend using a small amount of water to steam fry your vegetables and then drizzling oil on top, making your own oil-based salad dressings and drizzling healthy oils on top of vegetable wraps. Sugar has been linked to cancer and artificial sweeteners are not only acidifying but carcinogenic. Swapping your sugar cubes with stevia, an all-natural sweetener derived from herbs, is one of the best things you can do for yourself and your family. According to Ray Kurzwell, author Fantastic Voyage: Live Long Enough to Live Forever: stevia is highly nutritious, lowers blood sugar in diabetics while regulating blood sugar in non-diabetics, lowers elevated blood pressure, kills bacteria that cause tooth decay, increases energy levels and mental activity, and reduces cravings for alcohol and tobacco. Other natural sugar alternatives: Chicory root, agave nectar. Our bodies contain about a pound of salt, and sodium is an alkaline mineral necessary for survival. But the refined iodized salt that sits on most dinner tables in America is completely unhealthy and the type of salt doctors are referring to when they advise patients to cut down on their salt intake. Refill your salt shaker with unrefined sea salt and sprinkle on top of wraps, soups and vegetables. Other alternatives: Celtic salt, Himalayan salt, Real salt. Peanuts are acidifying to the body and the moldiest, most undesirable peanuts are what is used to make peanut butter. Swap out your P.B. for it’s healthier cousin almond butter, and spread on sandwiches and use as a dip for pretzels, crackers, fruit, and to make smoothies creamier. Cows milk and other dairy products are not only acidifying but contrary to popular belief they actually rob the body of calcium and create a putrid sludge that wreaks havoc on your digestive system. Dump your carton of cows milk and try unsweetened almond milk instead. It is a healthy, delicious, alkaline substitute for drinking, cooking, baking, creamer and making cereal. Other alternatives (buy unsweetened): Coconut milk, soy milk, goat milk, rice milk. The complete milling and polishing that converts brown rice into white rice destroys 67% of the vitamin B3, 80% of the vitamin B1, 90% of the vitamin B6, half of the manganese, half of the phosphorus, 60% of the iron, and all of the dietary fiber and essential fatty acids. Fully milled and polished white rice is required to be artificially “enriched” with vitamins B1, B3 and iron. Clearly, brown rice is the nutritional winner over white rice. Other alternatives: Basmati rice, quinoa, jasmine rice, wild rice. Soy sauce is fermented and acidic. A great substitute is Bragg Liquid Aminos, which is a liquid protein concentrate derived from healthy soybeans, which contains 18 essential and non-essential amino acids in naturally occurring amounts, is not fermented or heated and is gluten-free. Most pastas are made with refined starches that lack nutritional value. Try swapping your spaghetti for soba noodles, tofu noodles, gluten-free pasta, whole wheat pasta or spaghetti squash. You can also try making your own pasta sauce from scratch instead of using pre-packaged sauces which tend to contain sugar and preservatives. Not all waters are created equal. Most bottled waters, along with distilled and reverse osmosis waters are actually acidic. Tap water is regulated by the government to be at least a 7 pH which is neutral on the alkaline scale, but is littered with contaminants. Therefore your best option is alkaline ionized water from a Chanson water ionizer which you can hook up to your tap. The water is pre-filtered and microclustered, resulting in better tasting water with a smoother feel that doesn’t cause bloating. It is also rich in antioxidants and able to hydrate and detoxify better than standard water due to its smaller water molecule size. Being properly hydrated is the key to overall wellness and you will not regret the switch from bottled water to ionized alkaline water. By now you may be well aware that sodas, coffee, alcohol, bottled water and sports drinks as well as processed food, meat, dairy, sugar and most bread and pasta products are all acid-forming foods and drinks that should be replaced with a diet rich in fruits, vegetables and whole grains and Chanson alkaline ionized water. But Dr. Theodore Baroody, author of “Alkalize or Die” has identified six other acid-forming substances that threaten our health and the natural alkaline environment of our bodies. Harsh chemicals can be absorbed through the pores, and carbon tetrachloride is used in dry cleaning and is acid-forming. If dry cleaning is a must, it is recommended that you air out garments before wearing them. For a safer detergent option, we offer Power Powder Organic Friendly Laundry Soap. It is estimated that 1 out of every 120 beauty products contains ingredients certified by the government as known or probable carcinogens according to Dr. Leign Erin Connealy, author of “Be Perfectly Healthy.” Most shampoos, soaps, cosmetics and hair dyes that are not organically-based are acid-forming and absorbed through the skin. Our SkinBalance product is all-natural and great for use as a skin toner, aftershave, an astringent, general cleaner, and hair conditioner. Explore mineral makeup and other organic beauty products for optimal health. 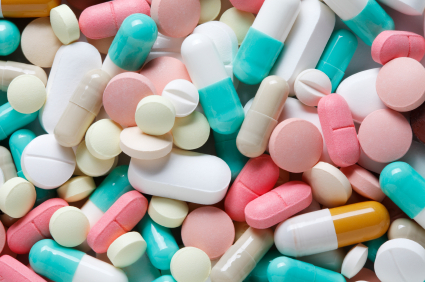 Approximately 98% of all prescription and over the counter drugs are acid-forming. While we don’t recommend going off any prescriptions without your doctors advice, it’s important to know that what you are taking may affect your acid-alkaline balance so that you can be proactive. Offset the drug acidity by drinking plenty of Chanson ionized alkaline water between meals. IMPORTANT: Do not swallow your prescription drugs with alkaline water, as it may cause time-released tablets to be absorbed quicker by the body. Instead, use the filtered setting on your Chanson ionizer with pills and during meals instead. Carpet, wood paneling, and chip board flooring are all made with formaldehyde, which is acid-forming. Seek other eco-friendly options like bamboo, cork or wheatboard instead. Not surprisingly, tobacco is acid-forming and commercial cigarettes are also loaded with toxins and carcinogens. Kick the habit and encourage others to do so as well. So there you have it. The six acid-forming substances to avoid in addition to the unhealthy foods and drinks which have become staples in the Standard American Diet (appropriately abbreviated SAD). Aim to drink at least half your body weight in ounces per day of Chanson alkaline ionized water to combat the acidity our bodies face on a daily basis. Wondering what to order during cocktail hour or serve at your next holiday or new years party? While all alcohol is acidic, some drinks actually have antioxidant benefits and are acceptable on occasion and in moderation. In fact, many alcohols are slightly less acidic than sodas (3.0 pH vs. 2.5 pH), so you may actually be better off ordering one of the top 10 drinks we recommend than a Coke! According to dermatologist Dr. Jessica Wu, “Research shows that moderate alcohol intake has proven health benefits, and some of those are beauty enhancing, based on the fruits, herbs, botanicals, or antioxidants they contain.” She recommends that you avoid cocktails like margaritas, daiquiris, cosmos, frozen or creamy drinks, dessert wines, or liqueurs due to their high sugar content. And we recommend that you stay away from drinks made with sodas like Jack & Coke and 7 & 7. These days, many martinis are made with sweet vermouth and/or vodka, but you are better off ordering yours with gin and dry vermouth (and perhaps a lemon garnish instead of an olive due to its alkalizing effect). Gin is usually flavored with juniper berry, which a source of antioxidant vitamin C.
Pinot noir, cabernet sauvignon and merlot are packed with antioxidant-rich flavonoids, including resveratrol and anthocyanins which are found in the skin of the grapes. Resveratrol, in particular, is known for its heart-health benefits. Nothing says “celebrate” better than champagne! A glass of bubbly is loaded with antioxidants, and British researchers have found that champagne has the same health benefits as red wine. Chardonnay has the most antioxidants among white wines, and tend to contain fewer sulfites than red wines. Previously, researchers didn’t believe that the health benefits of white wine were as powerful as those gained from drinking red, however, new evidence suggests that grape pulp also contains potent antioxidant compounds known as polyphenols, which have similar heart healthy properties. The combination of a distilled spirit like vodka and cranberry juice is a popular choice and cranberries contain loads of vitamin C, one of the most potent antioxidants. Plus you can sneak in water and/or ice cubes to help offset the acidity. The Japanese are some of the thinnest and healthiest people in the world, so it’s no wonder that the alcoholic beverage they are most known for found its way on our list. Sake is fermented from rice and does not contain any sulfites. Choose dry over sweet sake to reduce your sugar intake. Similar to a mimosa, the pomosa is a blend of champagne and pomegranate juice instead of orange juice. Pomegranates are high in polyphenol antioxidants, including ellagic acid, which helps fight wrinkles, reduce inflammation, and prevent premature aging caused by sun damage. Beer is actually less acidic than other alcohols, with a pH of 4.0. The trade-off is that it contains yeasts which can live in your digestive system. Shochu is a Japanese distilled spirit similar to vodka that contains fewer calories. It is available at sushi restaurants and most Asian food markets. Order it on the rocks with a splash of grapefruit juice for a boost of vitamin C and beta carotene. We recommend that you stay hydrated and drink one glass of water for every glass of alcohol throughout the evening to combat dehydration. Chanson alkaline ionized water is always best due to its antioxidant and deeper hydration properties, and is regarded by the Japanese as a “hangover cure.” Another tip to try if you are hosting the party is to make ice cubes with Chanson alkaline ionized water and/or dilute wines and distilled spirits with it as it will help combat the acidity in the alcohol. And don’t forget to drink a glass of alkaline water before bed and upon rising to cleanse and rehydrate your system. Have a safe and happy holiday! Studies have shown that the erosive potential of sodas is 10 times that of fruit juices in just the first three minutes of drinking. Additionally a study published in Academy of General Dentistry (AGD) journal General Dentistry reports that drinking any type of soft drink hurts teeth due to the citric acid and/or phosphoric acid content. The study measured the pH level of 20 commercial soft drinks including Coke, Pepsi, 7 Up and their diet versions immediately after cans were opened. Slices of enamel from freshly extracted teeth were weighed before and after being immersed in samples of each of the soft drinks for 48 hours. The result of the study was that the teeth immersed in Coke, Pepsi, RC Cola, Squirt, Surge, 7 Up and Diet 7 Up lost more than 5 percent of their weight, according to the report by Poonam Jain of the Southern Illinois University School of Dental Medicine and her colleagues. 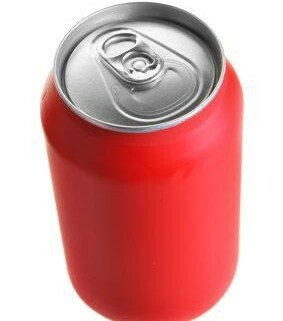 (Other sodas brought about losses in the enamel weight in the range of 1.6 percent to 5 percent). The pH scale is a logarithmic scale that ranges from 0-14 pH with 7 being neutral, anything below 7 is acidic and anything above 7 is alkaline. Battery acid has a pH of 1.0, distilled water at room temperature has a nuetral pH of 7.0, and the pH level Chanson Water recommends drinking is 9.5. RC Cola was found to be the most acidic soft drink studied, with a pH of 2.387, Cherry Coke ranked the second most acidic (pH of 2.522), and Coke came in as the third most acidic soda tested (pH of 2.525). The results show that a sodas acidity is not the whole story when it comes to tooth erosion. The type of acid in the soda, level of soda and calcium content are also factors. Citric acid is the most erosive acid found in soft drinks and is the predominant acid in non-cola drinks. Root beer was found to be the least acidic of all soft drinks, with a pH 4.038 for the Mug brand. The reason for the reduced acidity is that root beer is often non-carbonated and contains no phosphoric or citric acids. A 2006 study reported that orange juice and sports drinks also reduce the surface hardness of tooth enamel, but a soda reduced more—the dentin, surface enamel and two additional dental components. (Dental erosion refers to the action of acid on the entire tooth surface. Cavities and tooth decay tend to hit targeted areas, such as pits, grooves and spots where teeth are adjacent). In 1966, Americans drank, on average, 20 gallons of soft drinks per year. Today we drink almost 50 gallons of soft drinks annually. We strongly urge you to eliminate or reduce your soda consumption immediately. If you must indulge in an occasional soda, it’s best if you make it a root beer, drink it through a straw and only drink with meals. Better yet, invest in a Chanson ionzer for fresh, alkaline water at the push of a button to combat the acidity in your diet. Researchers estimate that about 1 out of every 5 American women over the age of 50 have osteoporosis and that men over age 70 are at a higher risk for osteoporosis. However bone loss can begin as early as our 30s and may be a direct result of diet and lifestyle. Calcium and phosphate may be reabsorbed back into the body from the bones to combat acidity as we age, which weakens bone tissue and can result in brittle, fragile bones that are more prone to fractures. Once diagnosed with osteoporosis, one can expect to lose an additional 1 to 2 percent of bone mass each year if they take no action to prevent or slow bone loss. It’s precursor osteopenia has no symptoms, but your doctor can perform special spine and hip X-rays to measure bone density. While osteoporosis has some well-known risk factors such as a low-calcium diet, inactivity, and bad genes, the following triggers may surprise you. A 12 year long Harvard Nurses’ Health Study found that those who consumed the most calcium from dairy foods broke more bones than those who rarely drank milk. Surprised? Although cows milk contains 118 mg of bone-building calcium in every 100 grams, the problem is that those 100 grams also contain 97 mg of phosphorus, and phosphorus actually blocks the absorption of calcium. 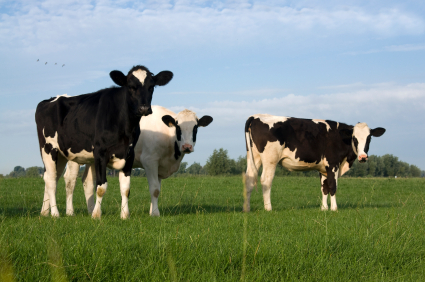 Like all animal protein, milk acidifies the body which in turn triggers a biological correction. Calcium from our bones is used to neutralize the acidifying effect of milk. 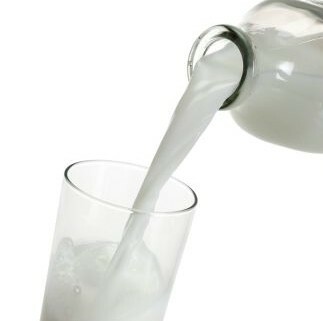 Once calcium is pulled out of the bones it leaves the body via urine, so the surprising net result is an actual calcium deficit after drinking milk. For more information on the dangers of milk, click here. All medications–whether they be over-the-counter, prescription, or the very drugs which are designed to help osteoporosis–are acidifying to the body. Just as with milk consumption, your body needs to buffer acidity by pulling alkaline minerals from within the body, primarily calcium from your bones. Long-term use of any drug can therefore weaken the bones. In particular, antidepressants, glucocorticoids (steroids), anticonvulsants and the contraceptive Depo-Provera have been linked to bone loss. If you are currently suffering from or have ever experienced anorexia or bulimia you are at a higher risk for osteoporosis due to malnutrition, excessive weight loss, calcium deficiencies, severe drops in estrogen, and excess cortisol production. To prevent further damage, those with eating disorders should seek professional help immediately. Smoking cigarettes may interfere with calcium absorption and is associated with an increased risk for bone fractures, while large amounts of alcohol can deplete hormones and increase cortisol levels, contributing to an alarming loss in bone density. Fortunately, bone health will return gradually after you stop smoking. It is recommended that you try to limit alcohol intake to a maximum of one drink per day. The bone structure of diabetics is a little more porous than that of non-diabetics, so it’s easier to break. Some evidence points toward an increased risk for bone loss after weight-loss surgery or the removal of part of your stomach because it could affect the ability of your digestive tract to absorb calcium and vitamin D.
Chronic inflammatory conditions such as lupus, rheumatoid arthritis, and fibromyalgia put you at risk for osteoporosis, while kidney disease and hypoparathyroidism can also wreak havoc with your hormone levels which ultimately affects your bone health. And anything that causes a drop in your estrogen levels can harm your bones, which is why bone loss accelerates after menopause. Chemotherapy is extremely toxic and harmful to all cells including bone cells. Fortunately one can generally recoup most, if not all, of their bone mass once treatments are over. However, you might want to consider a plant-based diet as an alternative to conventional cancer treatment. 1. Replace cows milk with one of the following more alkaline alternatives: almond milk, coconut milk, soy milk, rice milk or goats milk. 2. Adopt a plant-based diet. Research shows that it’s better to get your nutrients from food than from supplements. Consider the amount of calcium your body will absorb from eating 100 grams of the following alkaline foods: almonds (254 mg), broccoli (130 mg), kale (187 mg), sesame seeds (1,160 mg) and kelp (1,093 mg). 3. Drink Chanson alkaline ionized water. Reverse osmosis, distilled, and most bottled waters contain water that has been stripped of all minerals and is actually acidic. Drinking Chanson alkaline ionized water may be a significant source of calcium, providing over one-third of the recommended dietary intake of this mineral in adults. 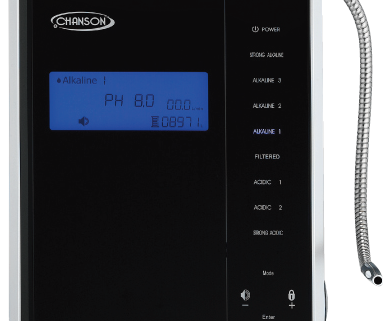 Chanson alkaline ionized water is micro-clustered which makes it easier to absorb at the cellular level and thus improves mineral absorption and overall hydration. 4. Make sure you are getting adequate amounts of Vitamin D. According to PubMed, it is recommended that you get 800-1,000 international units of vitamin D3 daily, which helps your body absorb calcium. The best source of vitamin D is natural sunlight (10-15 minutes a day without sunscreen). If this isn’t possible for you, Vitamin D supplements may be helpful. 5. Engage in weight-bearing exercise. 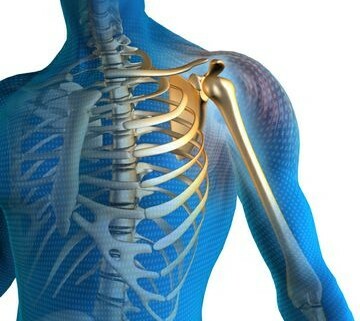 During weightbearing exercise, bone adapts to the impact of weight and the pull of muscle by building more bone cells. Try walking, jogging, dancing, stair climbing, bowling or golf. Granted, hydration is key to athletic performance and electrolytes are needed by the body. Electrolytes are ionic solutions that maintain fluid balance in people’s cells and are essential for muscle function, blood pressure regulation and other bodily processes. Electrolytes are lost through perspiration, and include the minerals potassium, magnesium, calcium, sodium, phosphorous and chloride. The #1 leading sports drink boasts small amounts of three out of six, while Chanson ionized water may contain higher levels of all six depending on the source water. The truth is, the leading sports drink has a pH level of only 2.95, making it MORE ACIDIC than Red Bull and Diet Coke! In fact, according to a study published by “Nutrition Research” in 2008, enamel and root surfaces of teeth were MOST DAMAGED by Gatorade as opposed to some energy drinks, Coca-Cola and apple juice. When you consume acidic foods and drinks, your body leeches alkaline minerals from the body to neutralize them; particularly calcium from bones and magnesium from muscles–two of the most easily and frequently injured areas of an athlete’s body! Thus, drinking sports drinks may actually weaken the body and make it more prone to injury! In addition, the leading sports drink has a positive Oxygen Reduction Potential (ORP) of 318, which means it contains free radicals which actually DESTROY cells! On the contrary, a Chanson Water ionizer can produce alkaline pH levels of anywhere from 8-12 (9.5 is optimal for drinking), with negative ORP levels between -150 and -1250 meaning it contains ANTI-oxidants which combat free radicals. The ingredients of the leading sports drink include 94% filtered water, artificial flavors, colors and sweeteners, and not a drop of fruit juice. According to the American Heart Association, women should not consume more than 24 g of sugar per day, and men are recommended not to exceed 36 g daily. However, a 16 oz. bottle of the leading sports drink contains 28 g of sugar. Whereas water is a natural thirst quencher that is free of sugar and calories. But don’t reach for bottled water instead! Most bottled waters are almost as acidic, oxidizing, and many come in plastic-leeching bottles which can contaminate the water within with toxins. Chanson ionized water filters out toxins while leaving all minerals in and is all-natural. We recommend filling BPA-Free Bottles with Chanson ionized water for hydrating at the gym, sporting events, and on-the-go. According to the leading sports drink’s own web site it, “stimulates thirst so athletes will ingest an adequate amount of fluid and electrolytes to stay better well-hydrated compared to when using beverages without electrolytes, particularly sodium.” It is a scientific fact that by the time you feel thirsty you are already dehydrated, and that acidic foods and drinks are dehydrating to the body. Therefore, what the makers of the leading sports drink do is actually dehydrate you so that you’ll drink more of their product! In contrast, Chanson ionized water is microclustered which makes it up to six times more hydrating than any other liquid including traditional water because it penetrates cells deeper to hydrate and flush out toxins. In addition, a rag soaked in high alkaline Chanson ionized water may be applied topically to sore muscles and joints to temporary alleviate pain and inflammation and help recover from workouts and injuries quicker, making it ideal for athletes. Can your sports drink do that? Water ionizers have been used for decades in Japan, Korea and Russia but are still gaining popularity in the U.S. Chanson Water ionizers are endorsed by professional baseball player D.J. Carrasco, professional bodybuilder Dan Hill, and UFC fighter Jose Viera. 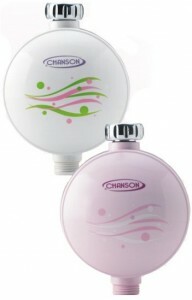 For more information on the benefits of Chanson ionized water, visit www.chansonwater.com. Electric ionizer machines are the original water ionizer products released on the world market that produce both alkaline and acid water through electrolysis, but now more and more non-electric “ionizers” seem to be popping up at a fraction of the price claiming to be just as good if not better than the Real McCoy. The truth is that when water flows over rocks in nature, it naturally ionizes the water, and our electric water ionizer machines are designed to re-create this process found in nature since not everyone has a waterfall in their backyard. When nature ionizes that water, it does so through ferocious movement and friction over metals and rocks in the river bed which creates an electrical charge amongst the minerals in the water. So then how can something that has no electricity duplicate the way nature makes ionized water through movement and ferocious friction? The simplest analogy to understand the differences in the two products would be that an electric ionizer is like a water fall, and the non-electric “ionizer” is like a lake. Now where would you prefer to collect your drinking water from? The lake is a stagnant, dead body of water. It contains minerals; it contains things that might be of benefit to the body, but it’s not the living water that we know provides optimal hydration. So let’s take a look at what benefits and alterations each product actually make to the water. -A two point increase in pH level. This means that if your base water is only a 5 pH, you would only be bringing it up to a neutral 7 pH instead of alkaline water (which would still be better than an acidic 5 pH but important to note). Also, if you are using a base water with a pH of 8 or higher–there are actually quite a few areas around the United States where the tap water is a 9 pH–you could potentially be raising the alkalinity above the recommended 9.5 pH level. The only non-electric product we offer is our AlkaTraveler Stick (ATS) which is best described as a portable alkalizer, not an “ionizer.” It is the ONLY product in its category to pass the NSF safety tests in the USA and is safe for long-term use. The ATS contains only natural ingredients (calcium, vitamin C, tourmaline and magnesium) and is not a filter so it should not be used with unfiltered tap water. It is priced at $89, which is a far cry from the $300-$400 that competitors charge for their non-electric “ionizers.” Its design is more compact and convenient than competitor models and comes in a carrying case that can easily fit in your pocket. 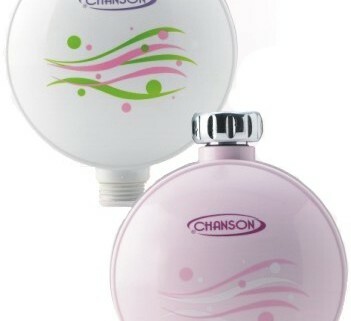 For more information, please visit our web site at www.chansonwater.com. Did you know that during the course of one ten minute shower, your body will absorb as much chlorine as if you were to drink eight 8-oz. glasses of the same water? Hot showers cause chlorine to turn into a vapor we inhale. At the same time, our pores dilate from the heat and are able to absorb more chlorine through our skin. And yet, chlorine has been used to disinfect our tap water since 1908. In her book, Be Perfectly Healthy, Dr. Leigh Erin Connealy explains that chlorine by-products have been linked to cancer, heart disease, and reproductive disorders and that these by-products generate free radicals which destroy the good bacteria in our bodies. Studies have also shown that chlorine destroys vitamin E, as well as polyunsaturated fatty acids, each vital to healthy skin, and have linked chlorine to asthma aggravation. Chanson also offers a host of whole-house filters if you are interested in removing contaminants in addition to chlorine. Visit www.chansonwater.com for more information.